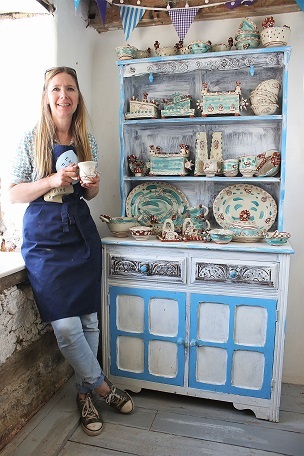 It’s that time of the year again when artists and makers all over Herefordshire throw open their doors, inviting the general public into their studio and homes. Herefordshire Art Week (HArt) runs 8th-16th of September, with open studios and events all over the county – just keep your eye out for the pink signs! Look out! there’s something lurking in the rhubarb patch at Kingham Lodge. 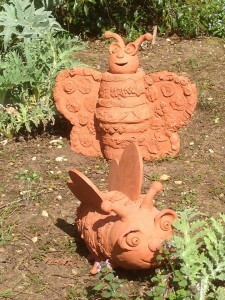 These fabulous terracotta creepy crawlies were made by five Oxfordshire primary schools earlier in the year. 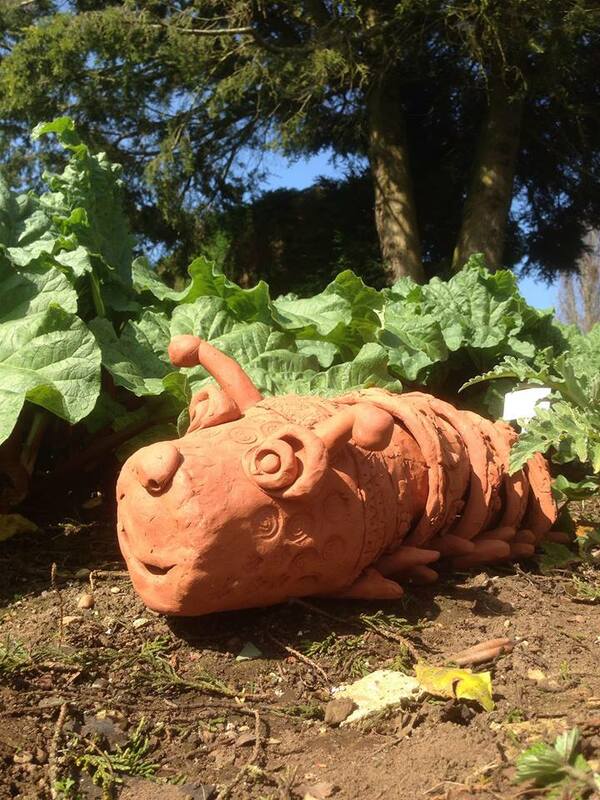 Jon the Potter was commissioned by Kingham Lodge to co-create the artwork with the children to be exhibited in the Sculpture at Kingham Lodge exhibition He spent a half day in each school working on the collaborative insects. 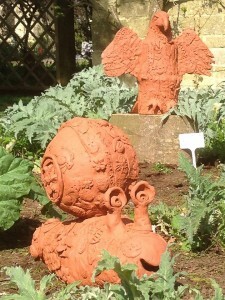 The children’s work can be seen alongside sculpture made by professional artists in the beautiful gardens set in the heart of the Cotswolds. The show runs from Saturday 5th May – Sunday 15th May. Open 10am – 5pm daily. Earlier this year, Ethan successfully applied for a place on the BA Hons Ceramics course at Cardiff Metropolitan University. So, after four years of full time employment here at Eastnor Pottery, he has relinquished his role as senior workshop facilitator. Obviously, we’ll miss him but equally we are delighted and extremely proud he’s off to Art College to embark on the next step of his creative journey. Ethan came to us as a Community Arts Apprentice having had no prior experience of working with clay. He quickly mastered the potter’s wheel and so inspired by his new found skill, set up his own pottery studio in his garden. 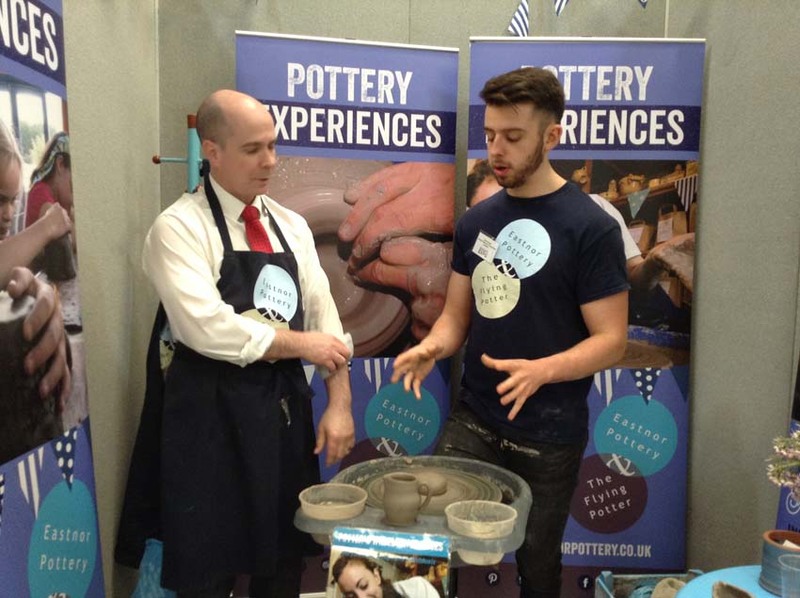 By the end of his first apprenticeship year he’d led workshops in school, showed countless adults and children how to make pots on the potter’s wheel and become a superb ‘wedger’ of clay! We wish Ethan every success down in that there Cardiff and we look forward to hearing all about his exploits in clay when he pops back to work the odd shift at weekends and in the holidays. Creative practitioners who work in other media are often inquisitive and keen to try new materials. 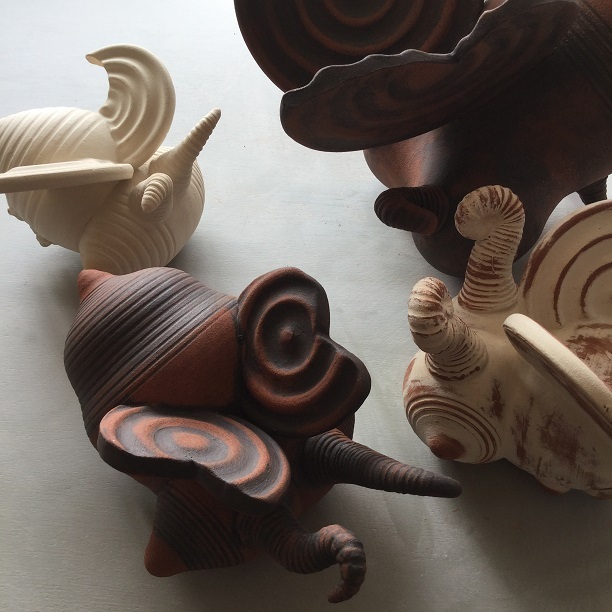 So, as one might expect, we do get to encounter more than our fair share of artists and craftspeople wanting to translate their ideas into clay. 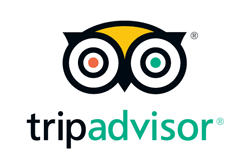 We love working with fellow creatives and are delighted when we get the opportunity to do so. 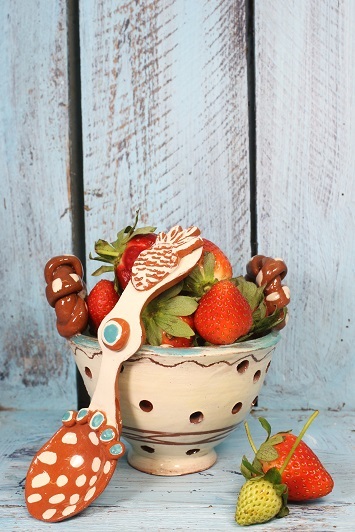 Check out this amazing collaborative pot made by illustrator Sarah Dean and her family to commemorate her 40th birthday. Although the pot looked pretty amazing in terracotta, Sarah had other ideas about the finish! I’m sure you’ll agree the acrylic paint job looks magnificent and elevates the artwork to a new level. http://eastnorpottery.co.uk/wp-content/uploads/2019/03/eastnor_pottery_header_2019-3.png 0 0 admin http://eastnorpottery.co.uk/wp-content/uploads/2019/03/eastnor_pottery_header_2019-3.png admin2017-04-18 20:18:052017-04-18 20:18:05Creatives 'R' us!